FYF Fest returns to Exposition Park this weekend… and I couldn’t be more excited! This year’s festival is bringing some of music’s biggest names to Los Angeles, including legendary hip-hop queen Missy Elliott and Nine Inch Nails who’ll play their first Los Angeles show in three years. With three days of music and more than 65 acts on the bill (from Frank Ocean and Solange to A Tribe Called Quest and Erykah Badu), music fans are sure to be pleased. 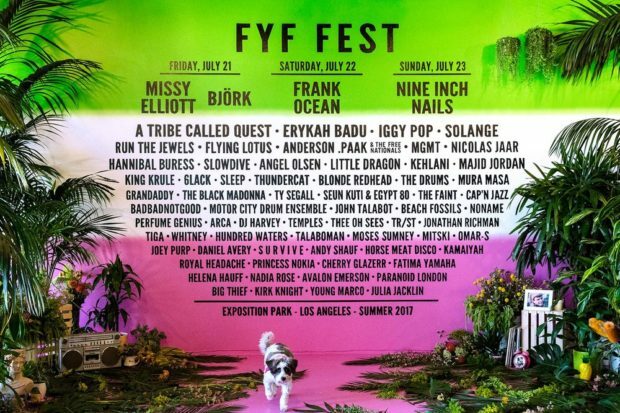 FYF Fest runs from Friday, July 21 through Sunday, July 23. Don’t miss out on summer’s biggest festival — get your tickets here.